My name is Kate Santee. I've been rocking the freelancer life with graphic design, illustration, caricatures, and comics. My blog will give you an even more comprehensive look at the kind of art I have to offer. 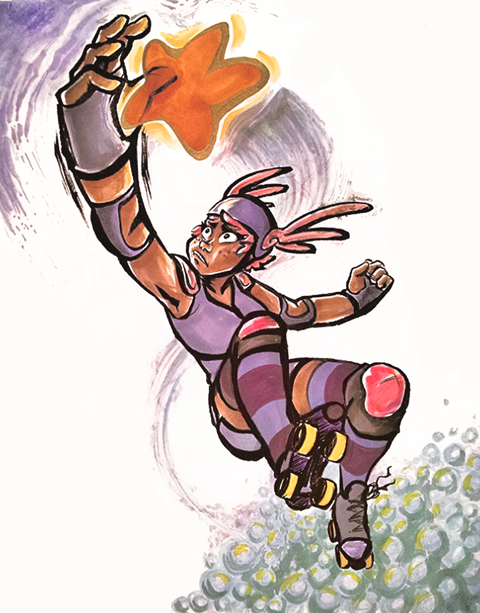 I love creating colorful characters and drawing dynamic roller derby art (I've been skating for six years—draw what you know!). Although it would take a lot to make me stop making stuff, there's no denying the feast-or-famine nature of freelancing. With a little more stability, it becomes easier for me to create original content for you, dear viewers—that includes, illustrations, shirt designs, and maybe even some comics! Dropping a tip in the digital jar is not expected, but it is always appreciated. Your support means a lot to me, and every little bit goes a long way towards helping me bring fun and engaging art directly to you! Thanks a ton! You now get to see sketches and have early access to completed artwork! Access to my Patreon feed, plus some stickers and a personalized thank you note sent directly to you! All previous rewards, plus a simple, personalized sketch of a character of your choice sent directly to you! 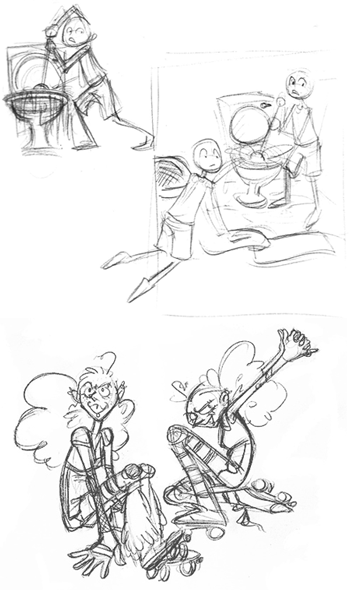 Access to the feed, plus a refined ink drawing of a figure/character/person of your choice! Patrons will get an exclusive discount to my online store!